Trump concluded by saying the meeting went "very well." The claim about Google's commitment to the US military might seem puzzling, however, during a Senate hearing earlier this month, Joseph Dunford, the chairman of the joint chiefs of staff, accused the company of "indirectly benefiting" the Chinese military via Google's work in China (which may soon include a censored search engine). Pichai was also scheduled to meet with Dunford on Wednesday. 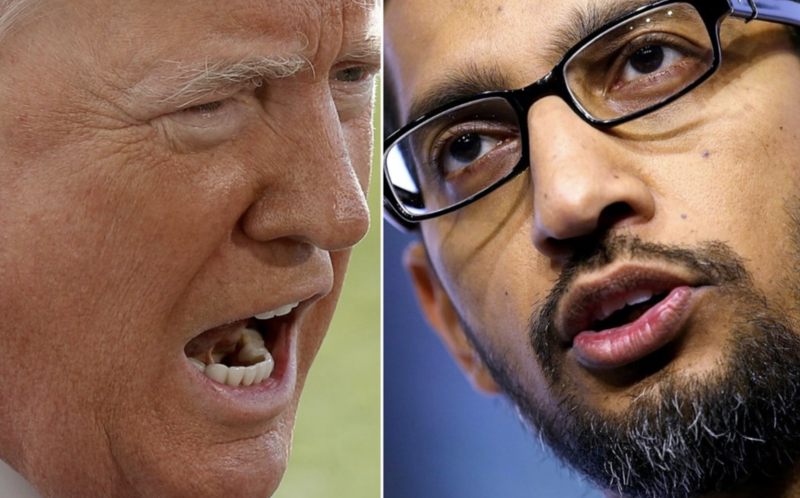 No word yet on whether Trump mistakenly referred to Pichai as "Mr. Google."